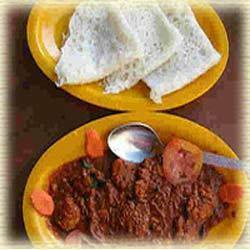 This is another item of the main course meal which is served during the function of marriage ceremony, birthday party or other social gathering. In this range, we offer Hot Bread which are served with spicy complementary dishes. Before their preparation, we check that the breads are fresh and healthy and do not contain any contaminants. We are the renowned service provider of catering services which are rendered to various parties, marriage ceremonies and numerous occasions.